Carolyn Sistrand is a senior from Framingham, Massachusetts double majoring in Broadcast Journalism and History and is a certificate candidate in the John Curley Center for Sports Journalism. For CommRadio, Carolyn works as a co-editor on the management team as well as contributing content for the sports department. Her roles include: being a writer, an analyst, an on-air personality on talk shows and podcasts, live play-by-play, as well as production. 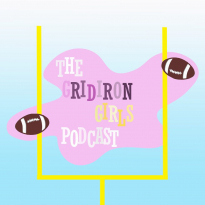 She is a co-founder for CommRadio's first all-girl's NFL podcast, Gridiron Girls, which is now a live all-sports talk show airing Friday's from 5 p.m. to 5:30 p.m. Outside of CommRadio, Carolyn has had professional experience as a multimedia journalism intern for The Metrowest Daily News (Framingham, MA) and AccuWeather Headquarters (State College, PA). She is currently covering Penn State softball as an intern for GoPSUSports.com (University Park, PA). To contact Carolyn, please email carolynsistrand@gmail.com.